Inspired by his successful business & executive coaching practice, Ben saw an opportunity to democratize executive coaching and founded PILOT. Previously, Ben held a number of leadership and management roles at Lockheed Martin, Oliver Wyman, and Marsh & McLennan Companies, where his last role was as SVP of HR, where he was named a “rising star” by HR Executive Magazine and later was featured on its cover for his innovative work in human capital. He started his career at Enterprise Rent-a-Car. In the community, Ben served on the board of directors for OutServe-SLDN, the organization that spearheaded the successful effort to end the Department of Defense's discriminatory Don't Ask, Don't Tell policy, and he co-founded the LGBT employee resource group at his management consulting firm. He unexpectedly let go of his long-held aspirations to climb the corporate ladder and instead has chosen to fly his own plane. Amy’s wheelhouse is getting things done. Throughout her career, Amy has been the "Indiana Jones" of project managers, blocking and tackling the day to day to carry projects across the finish line. When she’s not working on PILOT, Amy is the manager of one very chaotic but fun household as wife and mom to two very energetic kids and one doting husband. Rachel is our go-to for development and delivery, where she collaborates on the creation and building of coaching products and works closely with members throughout their experience. Rachel is a Jill of All Trades and an operational, to-do list avenger. She comes from a background of growing and assisting startup executives and teams. She is passionate about human rights and mental health initiatives. Rachel has a love for all things film, whether that be filmmaking, photography, editing or just watching a good movie. She holds a Bachelor's in Business Administration with a concentration in Entrepreneurship. A recent transplant to Colorado, when she isn't working, you can find her playing with skincare and makeup, behind a camera, nose deep in a good book or spending time with her furbaby and family. Kut is a founding partner at Newton Three, which invests in and builds ventures in physical and human industries like medtech, manufacturing and AI. He's founded hardware and software companies like HERO Health, has consulted for Fortune 100 companies at Bain, and in general likes building robots. At PILOT, Janet brings together her strategic visioning, creative problem solving, and her passion to empower individuals to take control of their professional success. From an early age Janet has been passionate about creating and finding solutions to complex problems. She started her career in hospital administration at Galvia Hospital (Galway, Ireland). After moving to the US, she joined GlaxoSmithKline. In 2003 at MedImmune, a leading Global Biologics company, she quickly rose to National Director of State Government Affairs. In 2010 Janet and her husband embarked on a new adventure, purchasing a boutique inn. After selling the inn, Janet returned to her passion of helping others reach their full potential, obtaining her career coaching certification, and opening her career coaching practice Career Ninja Coaching. An athlete at heart, Janet can be found in her downtime, hiking with her husband Jimm, and dogs Tia and Zoey, biking or kayaking, or just curling up for some good reading time. Kori’s focus at PILOT is developing new coaching content for members based on her experience as a coach and facilitator. Kori has maintained a successful freelance coaching practice for a decade. Prior to running her own practice, Kori worked at the Advisory Board company in several capacities, including researcher/writer, manager, and instructional designer. As a classically trained musician, Kori is passionate about the arts. She currently serves as VP on the the board of the Wekiva River Players theater in Florida. A curious learner, she enjoys traveling, cooking, and exploring new languages and cultures. She holds a masters degree in Learning and Organizational Change from Northwestern University. When not working, you can find Kori enjoying the sunshine with her husband and daughter. Allison comes to the PILOT team with a background in counseling and higher education administration. Serving as a generalist, Allison loves a good puzzle and finds it daily supporting all things product development and delivery. From developing college students into new professionals to coaching professionals through continued development, Allison loves the opportunity to work with and help people. In her downtime Allison can be found designing her dream home, spending time with her dogs and fruitlessly training for 5ks. Ashley is an Operations Analyst providing support to our Head of Growth & Marketing and is a key player in account and relationship management here at PILOT. Ashley previously held the position of Administrative and Project Manager at Working Simply where she oversaw daily operations of the business including managing projects and vendors, administrative functions, customer service and operations for the direct to consumer business. Prior to her role there, Ashley spent a decade as an executive assistant at LPL Financial supporting the EVP of Operations and a team of over 300. Ashley is passionate about providing support and encouragement to families of premature babies. She does fundraising for Pierce’s Project, a local non-profit that offers assistance and therapy to families of premature or critically ill babies. She is a graduate of Salem Academy and Salem College, which is the oldest educational institution for girls and women in the United States. Lauren loves the art of business and obsesses over the composition of core tenants to strategically drive a business to reach its goals. She’s blended this discipline with a side of hustle to build her own business and grow existing big and small businesses in the past. Lauren thrives on making connections, understanding the needs of customers and businesses and creatively solving problems. When not working, you can find her on the yoga mat, a concert or an art gallery where she’s drawing inspiration for her next project. 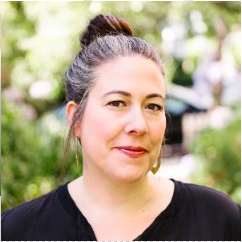 Mary’s experience as a revenue generator is varied, and has taken on several incarnations, including but not exclusive to NYC street vendor, head bartender, canine swim therapy entrepreneur, Associate Publisher of several renowned publications, and sales head for digital start-ups. Mary enjoys the art of persuasion, as long as the product is inspired. A life-long New Yorker, who enjoys reading, writing and red wine, Mary resides in Brooklyn Heights with her spouse and family of four-leggeds. Paul also best known as PJ spent over 20 years working with Fortune 500 companies. He helped them adopt Agile engineering principles to gain competitive advantage. PJ cofounded the Continuous Integration, Continuous Delivery, and DevOps movements. He persevered as part of a very small group early adopters. Those movements transformed the way that Enterprise software delivery occurs today. PJ also serves as CTO at Intent Media in New York and London. He also strives to help small tech companies by providing insights into how to scale. Thanks to the following advisors and advocates for their role in making PILOT smarter and stronger. 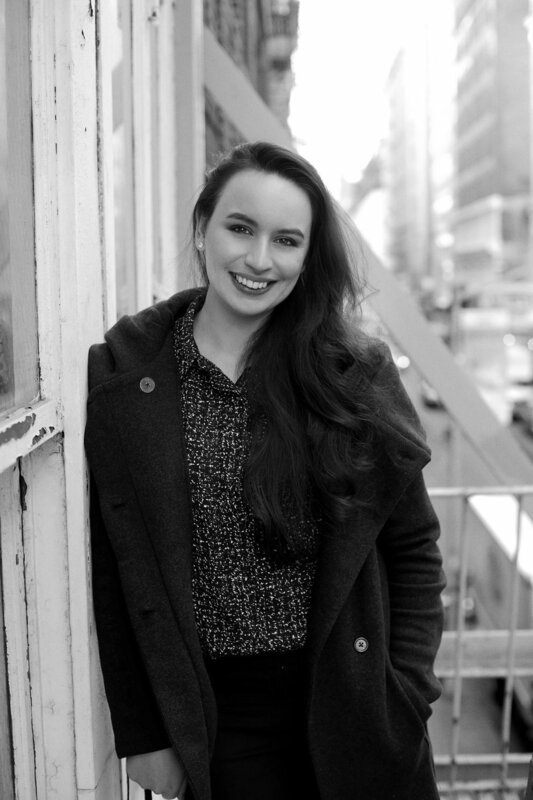 Melanie is an independent creative marketing consultant based in New York and an award-winning team leader with a passion for creating cultures of creativity and innovation. She’s currently managing brand partnerships for Artsy and @aguynamedpatrick. Sue's natural curiosity, creativity and concern for others made 23 years as a career counselor a perfect fit. Sharing her experience and knowledge with Ben has been an unexpected and delightful journey. These days she's all in whether it's hanging with her family, playing 'swat and giggle' tennis, or wandering the globe. Seth Caplan is a New York based commercial photographer specializing in lifestyle and interiors. He also works as a museum educator with school programs at the Guggenheim Museum. Marcia has advised leaders in some of the world’s largest organizations. Marcia Conner is a former corporate executive who now dedicates her time to reinventing a vibrant healthy world. Described as a “blank page systems architect,” she works closely with big-vision leaders, impact entrepreneurs, and unreasonable thinkers, ready to use their superpowers for good. Matt Corker is the co-founder of The Corker Co – a consultancy dedicated to crafting people strategies that put the heartbeat into business's’ bottom line. He holds an MBA from the Copenhagen Business School, is a certified yoga teacher and author, and has been studying leadership development theory since he could first read. Lisa is Director of Strategy for Stash Rewards, a fast growing startup guest loyalty program for leading boutique hotels around the world. Previously she worked in Disney's park development and strategy group, after graduating from Harvard Business School. She met Ben while working at Oliver Wyman as a management consultant. 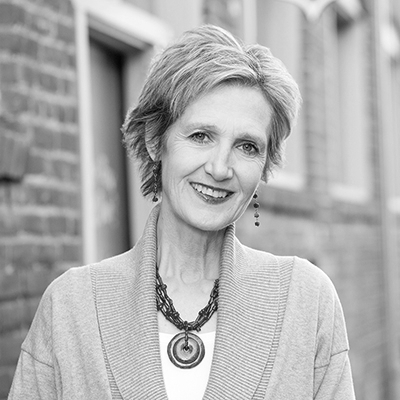 Arianna is an experienced design leader, strategist, and educator with deep experience in creative direction, design. As an entrepreneur herself, she advises some of the world's most progressive tech companies like Instagram and Twitter and was previously an executive at Zynga Global Brand and Publishing. Tony is a Vice President in the Employee Communications Practice at MSL Group, one or the world's largest PR firms, owned by Publicis Groupe. Tony helps leading companies like PayPal, BMW, Citibank, and Eli Lilly engage and motivate their employees through effective communications strategies. Chris is Global Luxury Editor for Bloomberg Pursuits, a hub for lifestyle news and luxury reviews covering food, wine, travel, fashion, cars, real estate, art, gadgets, wine and cocktails. 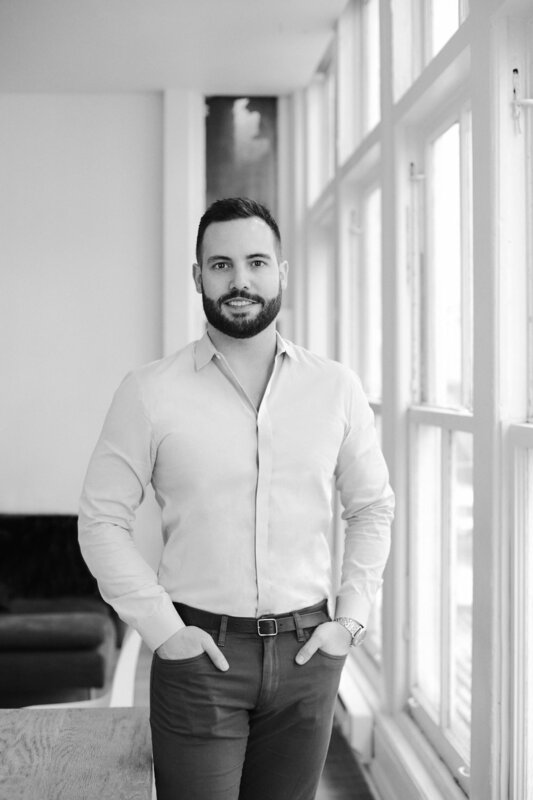 Joshua is a Manhattan based interior designer and founder of Joshua Smith Inc. His designs are clean, classic and edited often grounded in tradition while incorporating modern elements. About Joshua | Joshua Smith Inc.
Joshua J. Spiegel, Esq., is an attorney and co-founder of Horzepa Spiegel & Associates, P.C., a boutique law firm specializing in business services for entrepreneurs, start-ups and early stage companies. 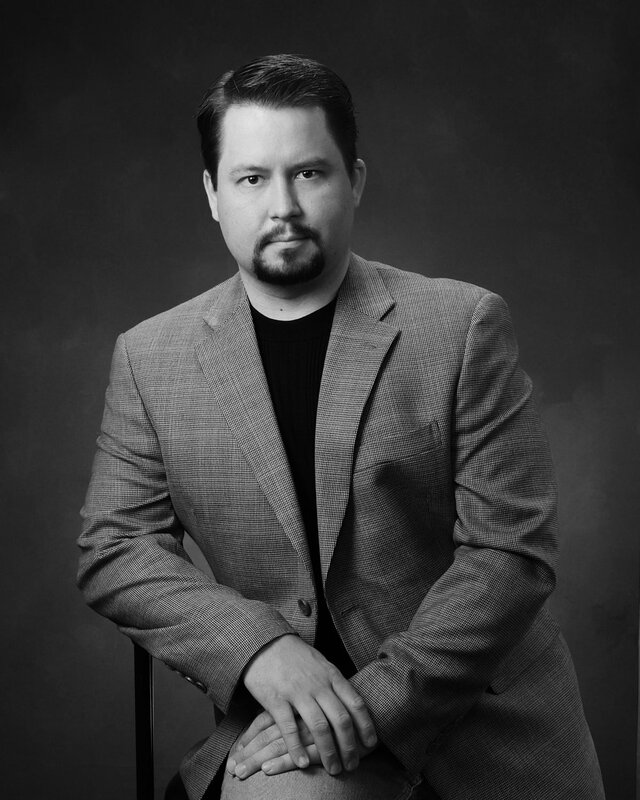 Joshua has extensive experience in areas including, corporate transactional matters, employment matters, and the protection and monetization of intellectual property. Kevin is a creative strategist cultural researcher driven by an innate curiosity and understanding of emerging consumer culture, technology and media practices. Kevin helps clients identify challenges, leverage innovation and implement comprehensive branding strategies to achieve meaningful results. Taren Sterry is an executive coach specializing in helping leaders find their "Big Time" and being able to share that through effective presentation and communication skills as a leader. Her clients span many industries and represent elite companies in both the Fortune 500 and high growth startups. On top of that, she's a fantastic improv coach! Kevin is a New York-based award-winning designer whose practice focuses on the unique potentials that exist within every site, every client, and every program to make something extraordinary. Kevin is the owner of 1Goodi, a graphic design and branding service committed to helping clients with professional graphic design, branding and marketing needs. 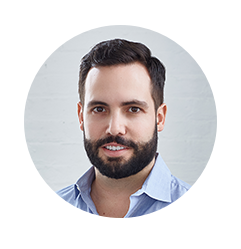 Matt is an Associate Strategy Director at Ogilvy & Mather, one of the world's preminant advertising agencies. He helps drive social media strategy for their largest account, IBM. Matt's experience in digital marketing through social media for many major consumer brands has him on the pulse of what's next in advertising. Tim is a graphic designer in the San Francisco Bay Area, specializing in early stage brand development and print design with a clean and modern style.